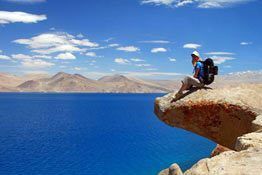 Unique likes its landscape, lifestyle in Ladakh is one that inspires awe! Sharing roots with Tibet and Central India, Ladakhi people share similar lifestyle in terms of food, clothing, religion, festivals, habits and so much more. Due to leading a nomadic pastoral life, majority of them rely on agriculture. One of the most outstanding features of the society of Ladakh is the status of women. Ladakhi women own an esteemed and reputable status in the society and revel in being independent. 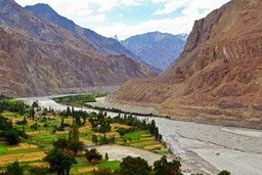 With Ladakhi and Tibetan language being spoken in majority of the parts of Ladakh, the place is dotted with natives who welcome each and every one alike. Besides the jolly natives, Ladakh is famed for the festival celebrations in the area. Come festival season and the destination becomes alive with a new vibe. 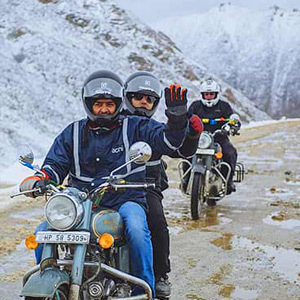 Here's the complete guide about the lifestyle of people of Ladakh. Buddhism has established strong roots in Ladakh. Hence, the residents of Ladakh follow Buddhism which has deeply impacted the traditions and customs here. 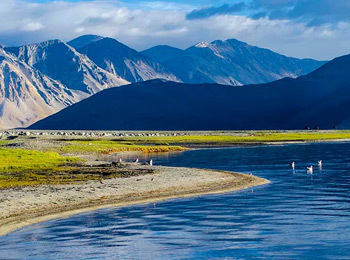 Also, the lifestyle of Ladakh is very much inspired by the Tibetan lifestyle. People of Ladakh practice inheritance of father's property by eldest son and 'fraternal polyandry'. Elderly people of the family handover their responsibilities to the eldest son as soon as he is ready and mature enough for the same. These practices also assure that the land is divided in such a way that it never becomes uncultivable. A very strong sense of community is also showcased by the dwellers of Ladakh. All the members of a village energetically partake in reaping and sowing regardless of whose field is being cultivated. Independency and self-sufficiency are the remarkable aspects of Ladakh. Agriculture brings livelihood to the people of the 'Land of high passes'. Inhabitants grow enough to nurture themselves and the remaining is sold in the markets in close proximity. An unwritten policy of 'basic and bare minimum' is also into practice in Ladakh. Efforts are made to recycle an object and then reuse it as something else. 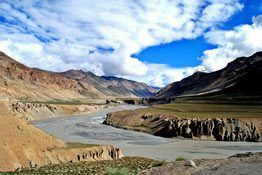 Although Tibetan, Balti, Ladakhi and Urdu are the official languages, the jovial people of Ladakh speak and understand Tibetan and Ladakhi language. But, it is always appreciated if visitors and tourists try and greet them in their language. 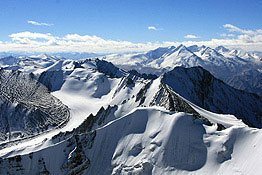 So, here are some phrases which can be used as ways of greeting in Ladakh for creating a friendly bond. Help! – Saat tug hay! Ceremonies in Ladakh are much awaited events and are celebrated with great pomp and show. These are accompanied by 'Daman' and 'Surna'. A childbirth is celebrated for a year at different intervals of time. The very first function takes place after 15 days. Post one month, another fiesta is hosted and the final one takes place at the end of year. The guests list includes all the neighbors, relatives and friends. They are then served with 'Tsampa', sugar, butter and salt. Tea is also offered by the family in which the childbirth has taken place. The joy of a wedding in Ladakh is apparent as the event is marked by music, dance and laughter. There is beating of drums, singing of traditional songs and dancing. Out of the two days of the event, first is celebrated at the bride's home whereas the next at the groom's dwelling place. The entire process starts from a proposal from the boy's side who is of age 16 or more. One or more of his relatives visit girl's residence along with a ring and tea, butter and 'Chhaang', a local liquor. If girl's family accepts all these, the marriage takes place within few months. It is a ritual that the boy bestow girl with clothes and a necklace. However, the bride's family is supposed to gift animals, clothes for the couple and land, in case they are rich, as a dowry or 'Raqtqaq'. The permissible age for a girl to get married is 12 years. Polo and archery are the most sought after leisure activities in Ladakh. These activities are so much popular that archery festivals are organized in Leh and its nearby villages during summer. Various enthusiasts form teams and compete with each other. Abiding by the rules and regulations is mandatory. A remarkable feature is that 'Chhaang' is served without any restrictions yet there is no rowdiness observed. In the olden days there were polo-ground in almost every village of Ladakh. Till today, it is played with great zeal and is not reserved for the rich here. An hour long game consists of six players in a team. A break of ten minutes makes the players feel relaxed. One can hear the joyful music from 'Daman' and 'Surna' on every goal. People of Ladakh highly venerate Lamas or the head monks. They are considered as the astrologers and oracles in Ladakh. The lamas forecast auspicious time and date for important works like ploughing of field, establishing any company, solemnizing a marriage or embarking upon a sojourn. Monks belonging to Matho Gompa hold a special position. Two monks are chosen after three years by following a traditional method. They have to follow rigorous fasting and prayers for months to prepare themselves for the honorary role. Some people of a few villages are also treated as oracles and healers for possessing those powers. Ladakh gets festooned vibrantly to celebrate a number of festivals. Natives eagerly await to celebrate festivals in Ladakh. Amongst the popular ones, Hemis Festival outstands the rest. 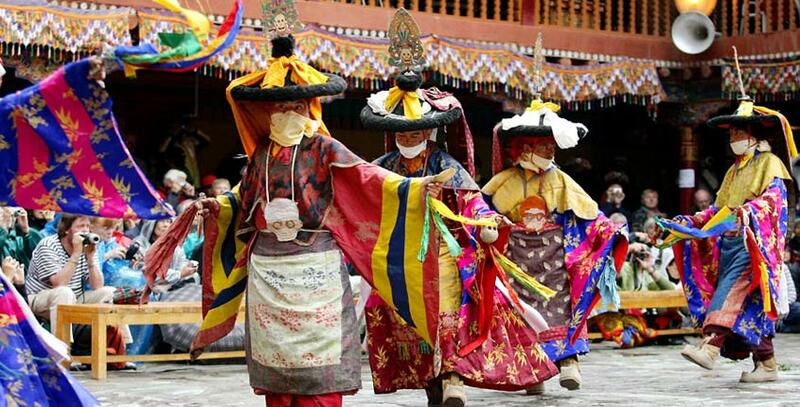 This fiesta is celebrated as the birth anniversary of Guru Padmasambhava at the famous Hemis Monastery. Other festivals which are celebrated here are Sindhu Darshan, festival celebrated on the full moon day (Guru Purnima) in May-June and Ladakh Festival, celebrated in September. Just like other things, food in Ladakh is quite similar to that of in Tibet. Tsampa, roasted barley flour and Thukpa, a noodle soup, are the two favorite food of the Ladakhi people. Tsampa comes handy for the trekkers and is favored as a trekking food. Skyu is another famous dish which typically belongs to Ladakh. Tea made up of salt, green tea and butter and Chhaang are the common beverages here. Indian tea made up of milk and sugar is slowly becoming popular in Ladakh.